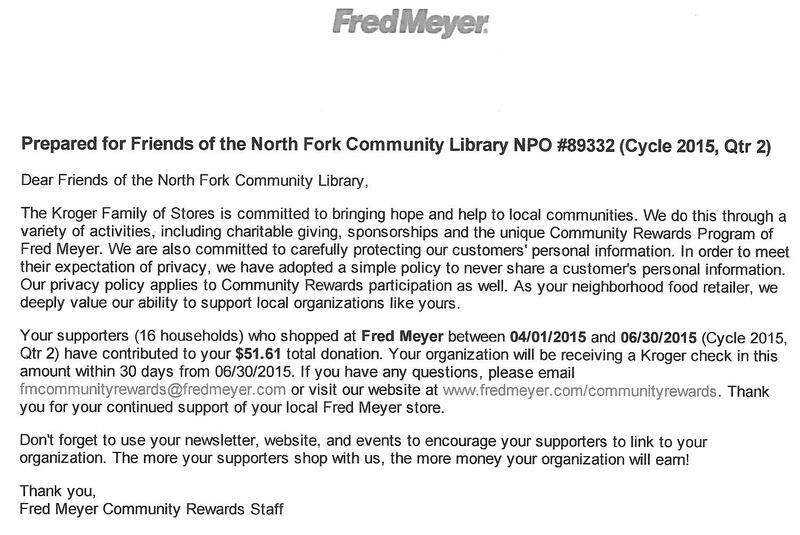 Thank You to the 16 Households that have choses Friends of the North Fork Community Library as their REWARDS charity. I love that once you set it up, done, that is all you have to do. Want to know how? Sign Up Today! This entry was posted in Library Fund Raising and tagged community library, Fred Meyer Rewards, Fund Raiser, North Fork Community Library. Bookmark the permalink.